I can’t begin to describe my shock yesterday. 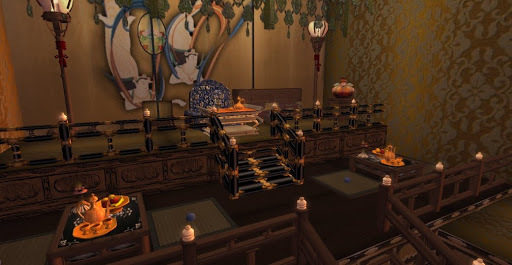 I wanted to take a friend over to see one of my Wonders of Second Life, namely the China Tang Empire. So, I pulled up the LM’s About and was puzzled to see, instead of the Empire’s thematic photo, the About featured a picture of a real estate development. At this point I thought that maybe the sim’s build had been moved so I turned to my friends list, expecting to find sim owner Valor Relino and he was gone as well. 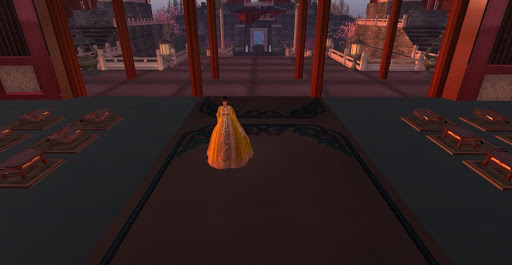 This morning I made a trip to the sim to confirm that China Tang Empire was gone, and sadly it was. This is the landing point where once China Tang Empire stood. 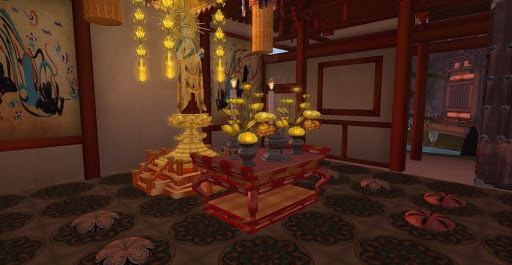 In placing China Tang Empire on my Yordie’s Wonders of Second Life I broke one of my main rules, a wonder must be a sim group of four or more sims. I did this because the build was so extraordinary in every way, a true work of art and clearly a work of love. When I featured this amazing build in my blog I only shared a few of the photos I shot, to encourage readers to make their own trip and see for themselves. Sadly, here are a few more photos of what once was a stunningly beautiful area. One of the numerous chambers full of intricate work. Me in my empress gown, standing in the great chamber. Walking through the surrounding beauty. Discovering golden wonders in the giant courtyards. At this point, all I know for sure is, the China Tang Empire is gone. If it has been taken private, then ok, I can live with that. But if it is gone forever, then this is a very sad loss for Second Life. I hope that it is just an interim situation and that the area will be rebuilt, perhaps on a large sim complex. But for now, I’ll have to remove it from my Wonders list. I think I’ve mentioned this before, that is, I can’t explain my interest in the cultures of Asia. I don’t especially believe in reincarnation, but perhaps I was Japanese in a former life. All I know is I find the history of Japan and China to be endlessly fascinating. This entry was posted in Features and tagged Beautiful Regions, Exploring, Photography, Second Life, Treasures. Bookmark the permalink. hehehe Love it Brinda. There are unexplainable "feelings" I have concerning about Japanese culture, dreams too. When we don't know were things things come from, it's hard not to wonder about possibilities outside the realm of our westernized logics.